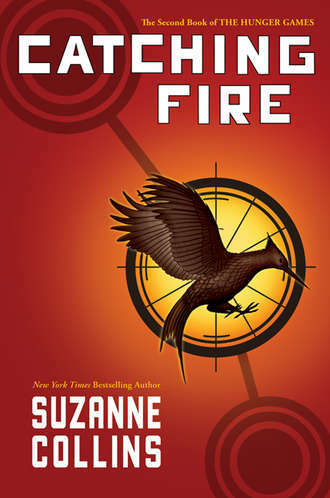 Today I’m taking you behind the scenes of The Hunger Games trilogy by Suzanne Collins, this year’s “It” series in young adult (YA) fiction. The trilogy's editor, Kate Egan, happens to live around the corner from me. She came to my house for coffee to share the publishing story behind this #1 New York Times bestseller series, which has been popular with adults too. The premise draws on both pop culture and the Greek myth of Theseus and the Minotaur: a despotic ruler selects children from every district to fight to the death. The sole survivor brings back a bounty of food to his or her district. The battle is staged in a nightmare world of mutant hazards and broadcast live as entertainment, the ultimate reality TV. Needless to say, this gory spectacle foments, rather than subdues, rebellion in the districts. When her younger sister is selected to be a contestant, Katniss volunteers to take her place. Katniss is a skilled archer who has been poaching wild game to feed her family. She is paired with a boy, Peeta, who once saved her from starvation. Katniss owes Peeta her life, but only one contestant is allowed to survive. Peeta loves Katniss, but she also has feelings for her hunting partner, Gale. This love triangle frames a coming-of-age story set in a war zone. Although the first two books The Hunger Games (2008) and Catching Fire (2009) were more entertaining and better paced, Mockingjay (released last August 2010) has greater philosophical depth and moral ambiguity. The regime is corrupt and evil, but are the revolutionaries any better? In this not-so-distant future, television has become the most effective weapon of war. Despite the violence, this series does not glorify war, rather the opposite. The cost of war is paid by all participants, win or lose. This dystopian trilogy reminded me more of George Orwell’s 1984 and Animal Farm than of books written for teenagers. If you've never read YA, try these. My daughter found the first book too scary at age eleven but returned to the books at age thirteen and really enjoyed them. I loved them too. All three books were hard to put down and impossible to forget. After finishing, I had many questions. Kate Egan had the answers. Sarah: how did you first connect with the author Suzanne Collins? 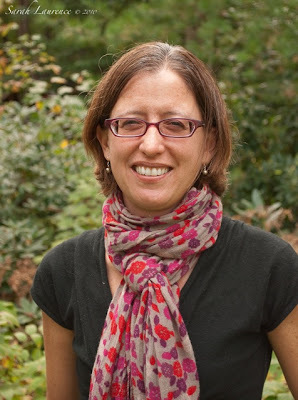 Kate: while working for Scholastic in NYC, I acquired and edited Suzanne’s first book, Gregor The Overlander. It became a five book series. The Underland Chronicles is about a boy who falls through a hole in his laundry room into a world hidden under New York, populated by giant rats and cockroaches and other creatures you might expect to find beneath the city. Sort of like a modern Alice in Wonderland? Exactly. The Underland Chronicles is meant for a younger audience but shares a similar central theme with The Hunger Games series. What is that central theme? Suzanne’s main interest is “what is a just war?” She’s especially concerned about the effects of war on a person. What first attracted you to her writing? The un-put-down-able quality to her writing. Suzanne started her career as a screenwriter. She wrote the adorable Little Bear television program on Nick Junior, among many other shows. She knows how to move a story and how to hold a kid’s attention, although Little Bear and her novels are extremely different in tone. What was the inspiration for The Hunger Games trilogy? Suzanne was flipping back and forth between the Iraq War coverage and Survivor on TV when she got the idea for The Hunger Games. Suzanne always writes her books in 3 parts with 9 chapters each so a trilogy was natural. She had the whole story in her head from the start. When did you first hear about The Hunger Games? Four years ago I was doing the final edits on the last Gregor book, when my second child was born. It was a month before I was ready to get back to editing. Suzanne used that time to write the proposal for The Hunger Games trilogy. The original proposal had the fight to the death and the intriguing character of Katniss. I realized that this was going to be the biggest book I’d ever worked on. Why do you think The Hunger Games series has been so successful? When I started working in publishing in the mid 1990’s, young adult fiction was all but dead. Scholastic, the publisher of The Hunger Games, barely published YA back then. There was no dedicated space for teen fiction in the bookstores. In the past ten years, the publishing pendulum has swung towards YA, even garnering an adult crossover audience. The Hunger Games was impossible to put down, and Katniss was a great character. Suzanne is a terrific storyteller. Given that Scholastic’s headquarters are in NYC, why did you move to Maine? My husband worked for the New York City government, and one of the terms of his employment was that we had to live within the city limits. We were living in a basement apartment in Brooklyn Heights. Our daughter’s crib was in the hall! In 2003 my husband was offered the job of running the State Ethics Commission in Augusta. In six weeks we bought a car and a house and moved to Maine. How did you manage to keep working as an editor after the move? I switched to working freelance for several publishing companies, mostly for Feiwel and Friends, an imprint of Macmillan. I kept 3 of my old authors from Scholastic, too. I work in the mornings when both kids are in school, during naptime and late at night. How did you hold onto Suzanne Collins as your author? When Suzanne’s agent sold The Hunger Games trilogy to Scholastic, it was agreed that I would remain her editor. We’ve been together for eight books now. What are Suzanne Collins’s strengths and weaknesses as a writer, and how do you help her as an editor? Storytelling is Suzanne’s strength. As an editor, I help her develop the characters. For example, I asked her for more of the Peeta-Katniss-Gale love triangle. Suzanne was more focused on the war story. We’ve learned to trust each other. Sometimes Suzanne thinks it’s obvious where she is going, but I tell her I don’t see it. When I need help following, it’s a sign that the manuscript needs some shoring up. What has happened in the wake of The Hunger Games? Suzanne wrote the screenplay for the movie of The Hunger Games, which will be produced by Nina Jacobson at Lionsgate Productions. They are in talks with Gary Ross, who directed Pleasantville and Seabiscuit. 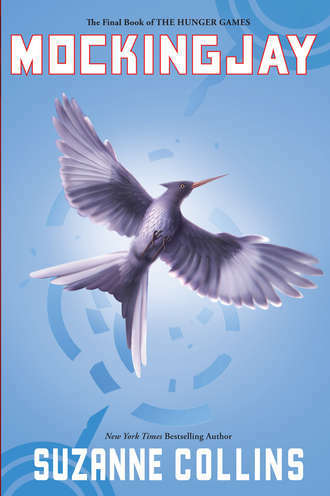 Suzanne is also busy with the Mockingjay launch and approving licensing products, like a Hunger Games board game. Is Suzanne Collins working on a new novel? I think she is starting to think about it, but that’s all I know right now. 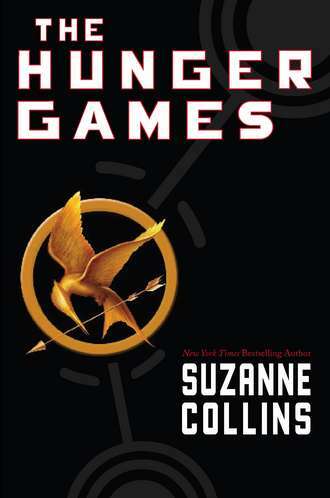 I’m struck by how much The Hunger Games has appealed to adult readers as well as to teens. What marks a book as young adult as opposed to adult fiction? I'd say that there has to be a teenaged protagonist. They are coming-of-age stories. The ending does not have to be happy, but there must be hope. A window is left open. Reviewer’s Disclaimer: I bought all three books myself when they were first released. Kate Egan and I were introduced by our neighbor Charlotte Agell, author of another dystopian novel for teens, Shift. This interview was our first meeting. We met up more recently for a walk to enjoy the fall foliage. That first shot is from my front yard, and Kate is standing in my back yard. All photos were taken by me. Note: Please do not contact me to reach Kate Egan. I am unable to forward e-mails. Very interesting review. When is a war a just war? That made think loads, I can tell you. And thank you for interviewing the people BEHIND the books! I know that you've already written about your agent but this insight into an editor's mind was very welcome. Fascinating interview! I would love to read more interviews of this type, digging deeper into the stories behind books and their authors. Bravo! Wonderful interview, Sarah! I loved the first Gregor book and am thrilled to know there are four more! Also a huge fan of the HG trilogy. The computer age has made a huge difference in Maine life, hasn't it? I know more and more people whose employers are far, far away. The possibilities seem endless. THis sounds terrific. And great for my husband who teaches a course on dystopias. My eldest son & I are reading the trilogy. Both of us have been staying up late reading and then lying awake thinking about the characters. I actually just posted my review on the sidebar of my blog. I love when a book can capture the imaginations of both a 12 year old boy and a 44 year old woman. Thanks for a great interview. That was fascinating. I enjoy learning about the author/editor relationship and how it grows. I loved the Hunger Games and the complexity of Katniss and her world. Fascinating interview, Sarah! I enjoyed reading about Kate and her journey with Collins. Thanks so much! Cynthia, I added my “career and family” label to this post after reading your comment. The Hunger Games love triangle sweetens the many bitter moments – it was an excellent editorial suggestion to develop it. Book bloggers have focused especially on that plot string. Reviewing and walking, oh my! ACIL and Alyssa, the stories behind a book can be almost as good as the book itself. Ellen, telecommuting has certainly changed the landscape of Maine. I turned to writing because I was looking for work in a remote location, and I’m so happy I did. Patti, I’d be interested in your husband’s take on these books and how they fit into the dystopian genre. And your opinion too! Linda, I’m eager to learn more about the movie too although I’m not sure I want to see it. I love the images I have in my head already from reading. Still, it would make an exciting film. Cid, I read each of the books over a weekend. The cross-generational appeal makes these books special. How nice to share them with your son. Tricia and Keri, these books are clearly a product of creative genius, expert editing and trust built over time. 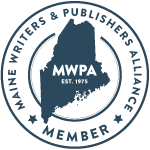 As I’m sure you know, it’s rare these days to have an editor and an author form a long-term partnership due to the revolving door of publishing. I came here earlier but wasn't really feel well enough to blog. I'm better now-yeah. I think your author interviews are really neat. You have such a good record for all of posterity for them all. 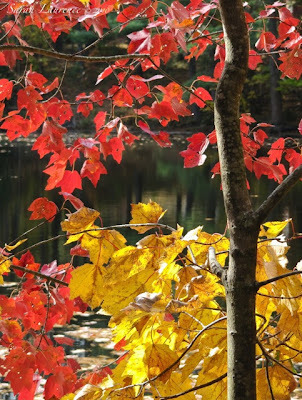 The yellow and red foliage color really caught my eye too! Thanks so much for your nice review and interview! I'd love to read the trilogy! As I like to read coming-of-age stories very much, I became very intrigued by the three books! The third one "has greater philosophical depth and moral ambiguity"?! How interesting! I'll place an order online. I think Scholastic is really a great publisher!! Your autumn leaves are awesome. Ours have begun to turn color at last! I really enjoyed this interview with the editor, Sarah. I've always wondered just what a book editor did, and now I can see how Kate's involvement with these books helped to make them better novels. These books really do sound intriguing, especially with a mythological premise and similarities to Orwell. Over the last few years I can't but remember 1984's wars with East Asia and then Eurasia as we switch between Iran and Iraq as the "enemy." I've often thought, too, that it's only a matter of time before reality TV starts promoting some kind of fight to the death like this. If I were still teaching, I would be using your reviews for reading suggestions to my ninth-graders! I recently bought the first two books of the trilogy and they're on my reading list for this winter. I'm really looking forward to reading these books, even more so after reading your post and this interview. Thank you Sarah! We recently had Kate visit the middle school, and she was great. Kids in grades 5-8 soaked up her humor and wisdom. Another great interview, Sarah. Also, I like the leaves which now seem to have largely fallen! Great interview. I really liked reading what was the inspiration morally for the trilogy because I did not get the feel that they came out so strongly in the first book for me. Decadence, corruption of power, that sort of thing yes, but the individual effects of war on an individual seemed less pronounced. I really enjoy your interviews. Tina, good to hear that you are feeling better. The bright reds and yellows are now gone but there are still golden brown oaks. Barrie, pick a free weekend because it will be hard to put down. Thanks for hosting the book review club! Sapphire, is The Hunger Games big in Japan? I imagine it will be if it isn’t already. Our big storm today is pulling down the last of the colorful leaves. I’m looking forward to seeing yours. Rose, it’s been fascinating hearing about the writing process from an editor’s perspective. Everyone else I know in publishing is an author or an agent. I agree that these books would be great for classroom discussions, not so much for literary merit (they are commercial fiction) but for the topical issues of war and television. Donna, I do have the coolest neighbors and blog buddies! Let me know what you think of the books. Charlotte, thanks so much for introducing me to Kate! We walked again today, and she told me about how much fun she had with your students. I am missing the leaves and sunshine. Stacy, the first two books were more spectacular and the war was not much more than a small rebellion. By the third book, the horrors of full-blown war take a more personal toll on the main characters. Katniss appears to be suffering from PTSD. This is fascinating! Thank you for this. This was such fun to read, not only to get the "behind the scenes" story from the editor but also ... heck, Kate's our neighbor! Suzanne Collins is lucky to have her: a good editor is a gift! Beth and Maria, as authors you know the value of a good editor. I enjoyed the interview and even though my daughter might be to young for the books--they sound like a good read for me. 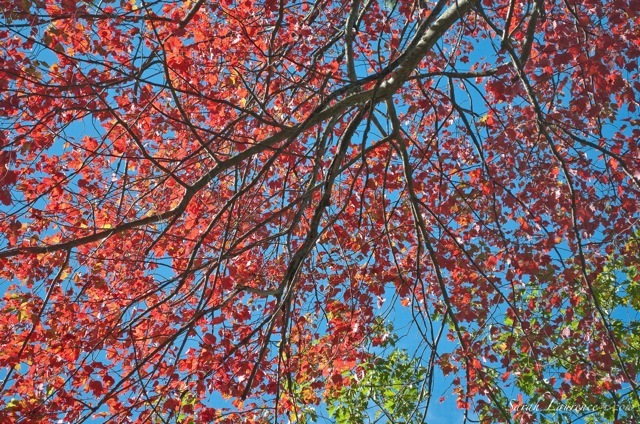 The red leaves are beautiful--this year we have more yellow and brown leaves in my area. this book is very intriguing to me, especially because of the greek mythology theme. what a great premise for a good yarn -- and a great interview with the editor to boot! thanks sarah! Tracy, enjoy the books and your leaves. Ours are mostly down now. Amanda, you’ll appreciate the Greek myth update. Wow, I think this interview is my favorite of all the ones you've done. Your questions are excellent and kate's answers gave me so much to think about. I'm surprised that the editor interview is the one that stands out. Cynthia, I found this interview especially interesting too. It was great to get the editor’s perspective. Part of what might have made this one stand out was that I conducted the interview in person instead of via email. It was a lot more work, but made it more of a conversation. It was fun getting to know Kate too. You have such interesting neighbors! This "interview with" is a great feature, and it's a nice twist to interview the editor instead of the author. I'm going to check these out for the Book Club I'm organizing for the 13 year olds. Bee, this series would be a perfect choice for your book club since both kids and parents would enjoy them. It would be interesting to hear the English reaction. I’m lucky to have such interesting neighbors and blog buddies! what a terrific idea for an interview! i loved the insight that kate offered and really enjoyed this trilogy. Nat, welcome to my blog and thank you! Kate was marvelous. It’s so nice to connect with another book lover. Loved this behind the scenes look at one of my favorite series! Lenore, welcome to my blog and thank you! I've been trying to find Kate Egan's email address to inform her of an editing error on p. 167 of the trade copy of _The Hunger Games_. There's a noun-verb disagreement in the sentence containing "my heads throbs . . . " which (I think) is somewhere near the middle of the page. I was hoping she could go back and correct her manuscript so that the typo won't appear in future printings. So . . . If anyone here knows her email, could you please inform her? drSmock, try contacting the publisher, Scholastic, as Kate does not handle details like that. I thought David Levithan edited HG? I'm sure I am just missing something super obvious. But, I don't know what. Al, welcome to my blog! Kate Egan is Suzanne Collins's longtime editor. Kate signed up Suzanne for her first novel and has edited all eight of her books, including the HG series. David Levithan is the editorial director/publisher of Scholastic Press (as noted in the article you linked to), and as such, has contributed a lot of editorial feedback to Suzanne. They all work together as a team. When addressing the press, David speaks for Scholastic. As a freelance editor, Kate cannot represent the company. I hope that clears up the confusion. Thanks for your question!